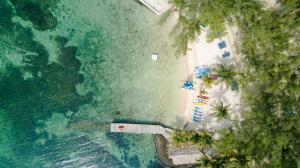 ﻿ Best Price on Belize Ocean Club Resort in Maya Beach + Reviews! 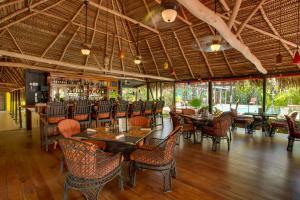 Belize Ocean Club is located on the beachfront in Maya Beach, just a 20-minute drive from Placencia. It offers an outdoor pool, an international restaurant and stylish air-conditioned suites with free WiFi. Each Ocean Club suite offers modern, functional décor and a fully equipped kitchen with a microwave, toaster and fridge. All suites also have a living room. Free parking is available at Belize Ocean Club. You can go ziplining within a 45-minute drive of the property, while Mayan ruins can be found within a 90-minute drive. Belize City is 124 mi away. Please note that the deposit will be charged at the time of booking when booking under the Non-Refundable Policy.